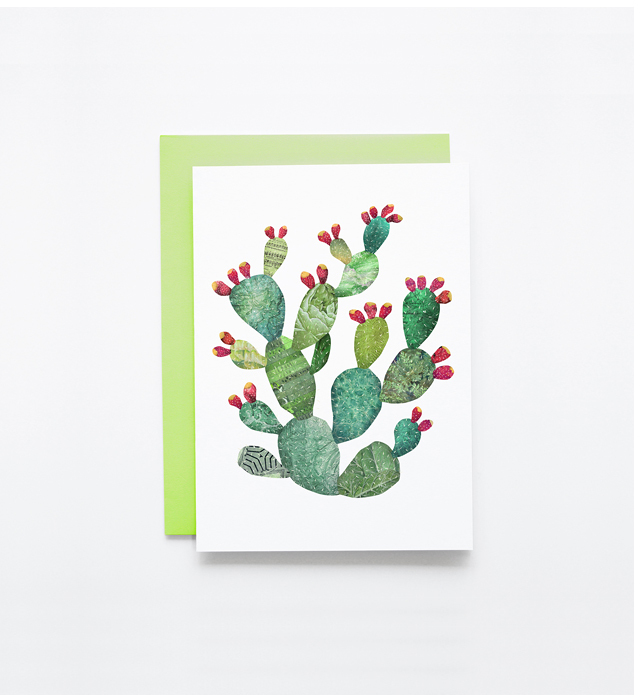 Prickly Pear is a custom illustration of a prickly pear cactus that we created using vintage collage techniques. 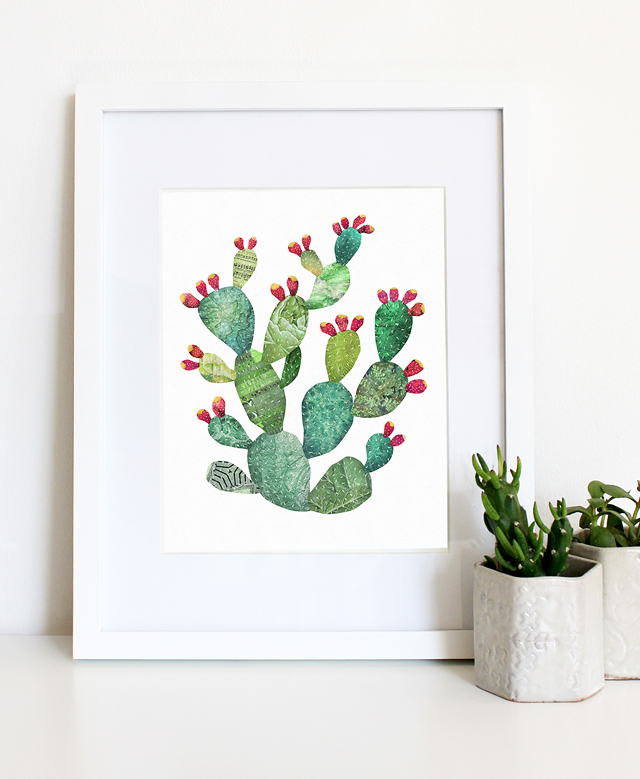 This archival print is produced on 210 gsm white watercolor cover stock paper, Prickly Pear is available at both 8″ x 10″ and 11″ x 14″ sizes. 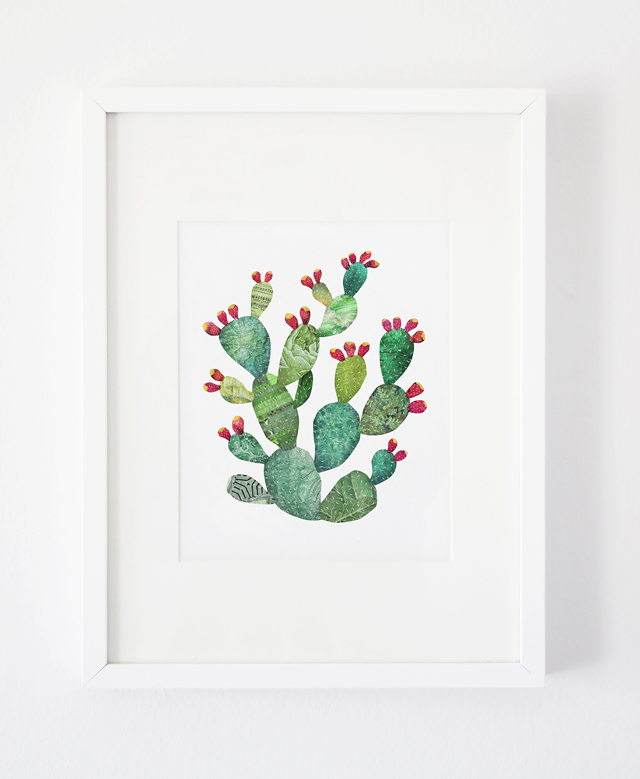 This piece comes packaged with cardboard backing in a protective plastic sleeve and is shipped in a non-bend stay flat envelope (frame not included).